Thanks for taking the time to read this. I am interested in getting an MBA to move from the public to the private sector. Below are details of my profile. Thanks for your post! 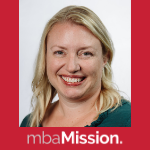 I'd love to hear more about your 'story' and choices and motivations; how the MBA fits in and why it's necessary... so that will likely be one of the biggest pieces the Admissions Committees would like to know about as well! I also don't fully know a lot about the details of your work experience; your overall best leadership experiences; how much involvement you have (i.e. hours, recency, etc); and more on the decision to transition your career and apply for the MBA etc. All that said, if you put together strong stories and apps, I would hope you'd get considered at Booth & Kellogg. For GSB/HBS, it's a reach for basically anyone but worth a shot. Keep us posted if you have further q's, and/or sign up for a consultation at www.mbamission.com/consult. Good luck!